In an ideal world, an interior designer would perfectly arrange every square inch of your home. If you don’t have an interior designer on stand by though, the task falls to you. That is okay though! 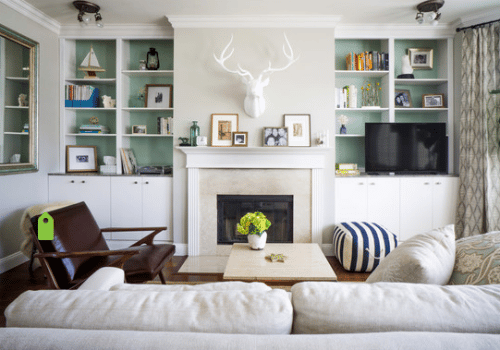 With this list of the best decorating tips, you will be your own expert interior designer in no time. You will be able to turn any space from ho-hum to spectacular. The majority of the tips on this list are going to be easy to follow as well. So don’t think that you are taking on a home renovation by any means. 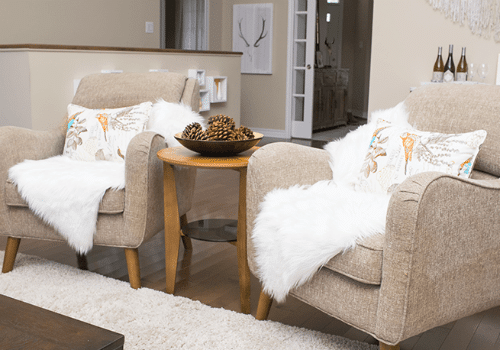 These decorating tips will give new life to your space and ensure that you have a comfortable, yet stylish space to call your own. And, for even more decorating know-how, check out our lists of shelving ideas and best IKEA hacks. When attempting to make a room look bigger, most homeowners push their furniture against the walls. However, this is not the best way to increase the size perception of a room. Floating furniture away from walls actually makes a room feel bigger. Also, for balance and more natural conversation, try floating the furniture in an H-shape. With two chairs directly across from a sofa and a coffee table in the middle, you will be able to include everyone in the conversation. 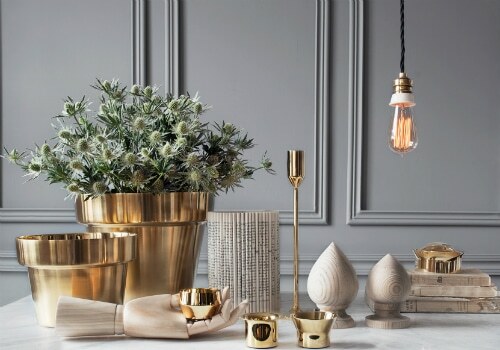 For a new look and feel in a room, simply change out your accessories. At a fraction of the cost of new furniture, you will be able to spruce up any space with a few key pieces. Accessories are also a great way to incorporate color into a room, which will make it easy to change up your living spaces with the seasons. Everyone knows paint is an easy way to bring a much-needed pop of color to a room. But, have you ever painted the back wall of your bookcases? Painting the back wall several shades deeper than the room color is an excellent way to add some visual interest yet still keep with the theme of the room. A well-lit room can make all the difference when it comes to opening up a room. 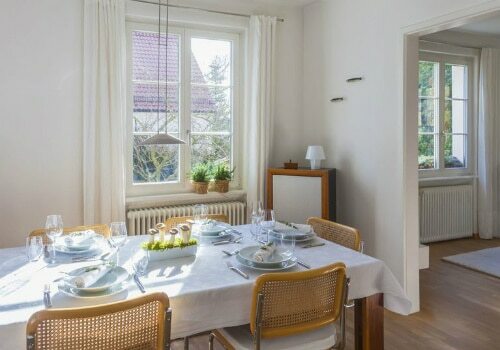 And, while you may not be able to renovate your windows, there are a variety of ways to help improve the lighting of a room. 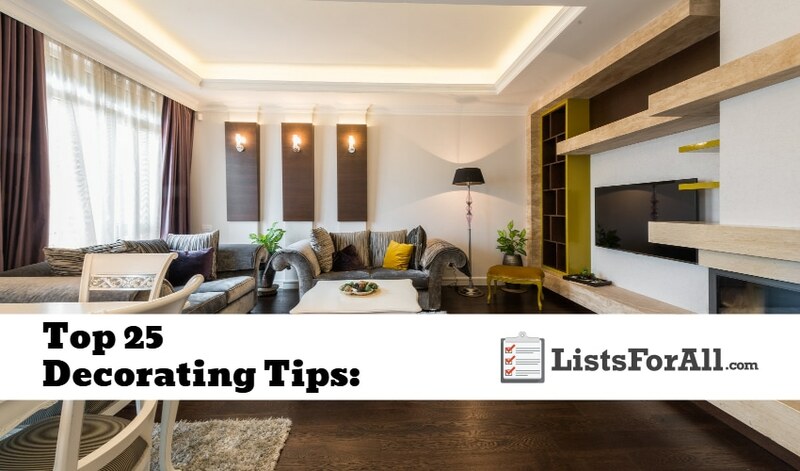 Whether it is trimming trees and bushes back that cover windows or using lighter colors on your walls, there are tricks to improve a room’s lighting. So make sure that you are capitalizing on all the great ways to let the light shine into your living spaces. 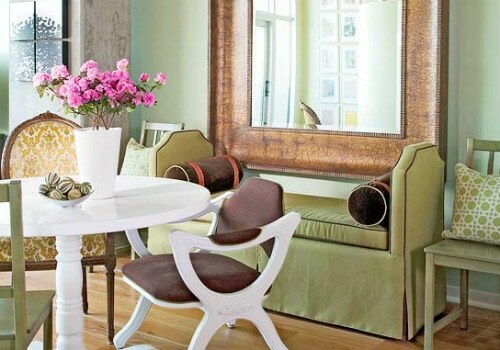 If you want to make a room look larger or feel more open, mirrors are an excellent option. The reflection of the mirrors is a great way to improve the visual feel of a room. Also, with many different styles, colors, and mirror sizes, you will be able to find the perfect mirrors to fit your style. 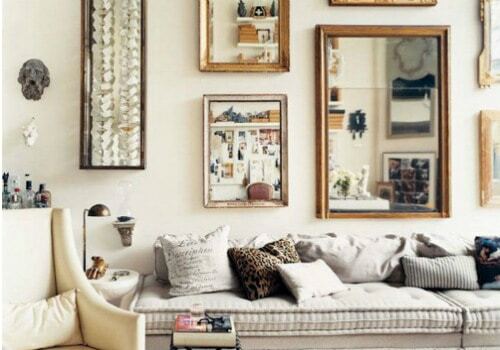 You may even want to consider choosing a mirror as a statement piece for a room. Not only can layering your lighting improve the design of a room, but it can also help with a room’s functionality. The right combination of ambient lighting, task lighting, and accent lighting can really improve the flow of a room. With all three of these lighting options available, you will be able to set the mood for any occasion. Also with task lighting, you will be able to shed more light on specific areas of the room to make pieces stand out more. Whether you choose a statement piece area rug or one that blends seamlessly with the room, an area rug can do so much for a room. 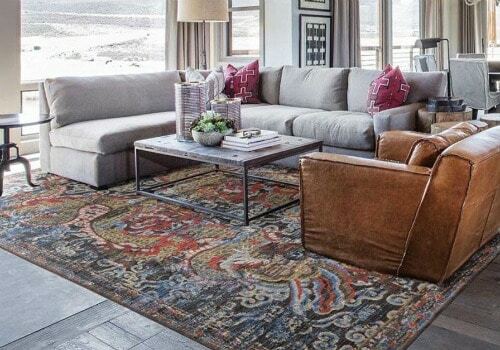 The perfect area rug can warm up a living space and soften hard surfaces. Also, if you enjoy the feel of carpet but enjoy the look of a hard surface, an area rug is an excellent compromise. So add some depth to your room and a pop of color with the perfect area rug. 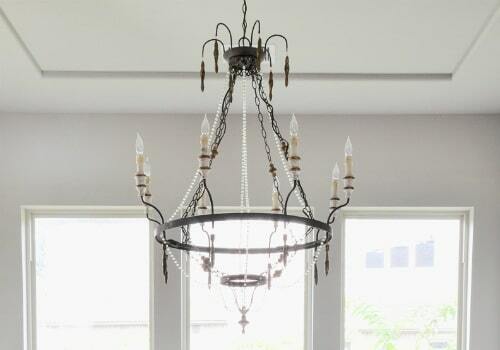 Updating fixtures is a great way to bring new life to a room, while also not breaking the bank. With light already being one of the focal points of a room naturally, the perfect light fixture will really help with the design of a room. 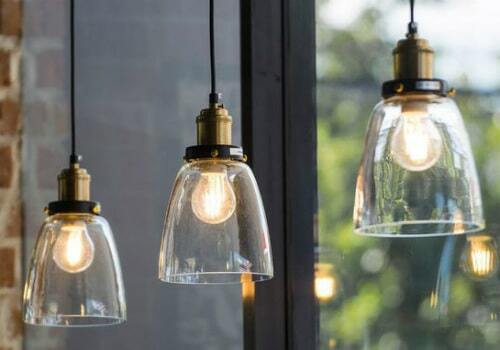 And, with so many different light fixtures out there, you will be able to find the one that best fits your style. Do you have items that you like to collect? 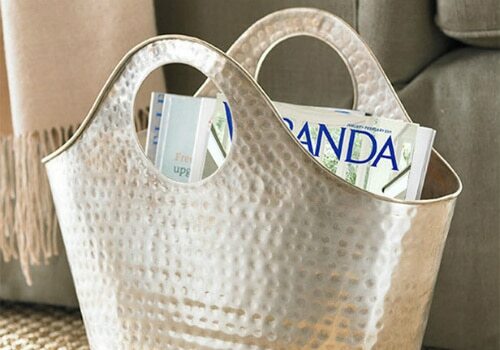 If you do, show them off as a decorative piece to your guests. Not only will they make excellent conversation starters, but they will also add character to a room. A great way to display your collectibles is with unique shelving. So consider some shelving options that are going to allow you to really showcase your collectibles. With houseplants of all shapes and sizes available, you will be able to the perfect plant for any area in the house. 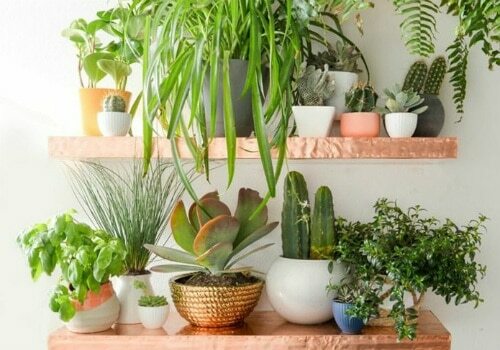 And, not only will you be able to choose the perfect plant, the right pot and stand can also really improve a room’s design. Also, with some house plants improving air quality as well, greenery has more than design benefits. While this decorating tip is going to be a little bit more expensive in most cases, the right custom piece can make a room. Whether it is a couch, table, chair, or whatever, the perfectly placed piece of furniture can work wonders. 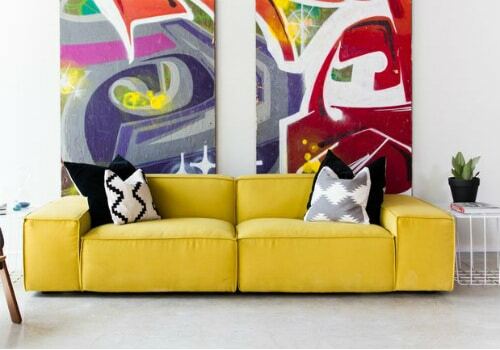 So come up with a game plan and find the perfect custom furniture piece for the room you are decorating. Whether it is because of lack of space or just because you like the design of it, a ladder for storage is a great option. 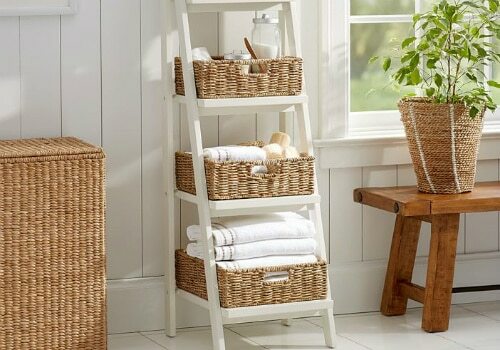 This ladder storage option is going to be perfect for bathrooms that are lacking in closet space. It will allow you to be able to store essentials like towels and wash clothes, but it will also leave room for decorative pieces as well. 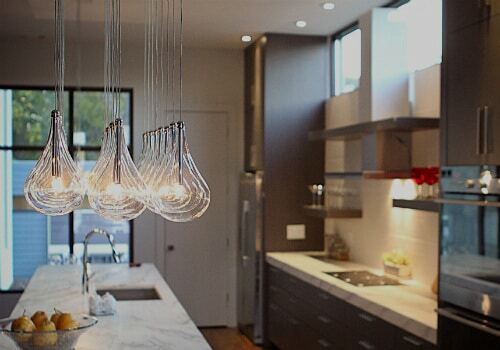 As mentioned earlier, lighting can be an excellent way to bring life to a room. Well with the right chandelier or custom lighting piece, you are really going to be able to do that. Not only will you be able to bring light to an area, but you will also be able to use a unique piece to do it. So try placing a chandelier over the dining room table, the entryway to your home, or wherever else custom lighting would work well. The right color scheme can work wonders for a living space. So before you start painting or decorating, sit down and figure out the color palette that you want to use. After that, you can make sure that everything falls into line with what you are trying to do. The end product will look so much better because it will show that you planned it out. Not only is this one of the easier ways to spruce up a living space, but it is also one of the comfiest! Adding a couple of throw blankets and pillows can go a long way with providing a pop of color and also making a room feel inviting. So look through your color scheme and figure out what pillows and throw blankets are going to work best for you. If you have kids, storage containers are a must. If not, toys, art, and everything else you can imagine ends up being left everywhere. So since you need to get storage, why not get elegant storage containers that will add to the flow of a room? You will not only be able to make sure different items are stored and out of the way, but that the containers add to the design of the room. 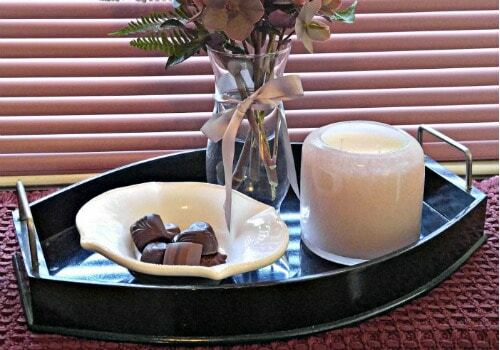 Give your house the gift of smelling good as well as some excellent decorative pieces. With a variety of different candle sizes and holders, you can find the perfect candle display for any room. And, the display is not just for looks as it can provide a good smelling aroma throughout the house when lit. So find your favorite candle scent or a scent based on the season, and you will be able to give your house that extra home feeling. 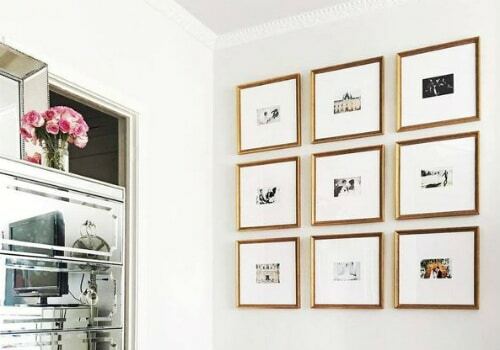 You don’t have to purchase and hang a life-sized picture to make a statement wall in your home. 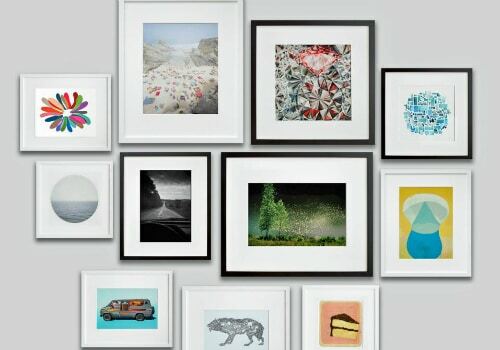 A grid of 9 or 12 smaller pictures will be able to have the same effect. This will allow you to be able to have your statement wall at a fraction of the price. Also, if you have family memories or a collection of photos that you want to display, this is a great way to do it. Neutral rooms are an excellent option, but in the hands of an inexperienced decorator, an all neutral room can be flat and boring. To avoid this malady, include a variety of textures and materials in your decorating. Pieces like sisal rugs and silk drapes can help break up the monotony of a room, and ensure that neutrals are anything but boring. For a truly professional looking art arrangement, group a variety of pictures together using the same color frames or mats. Spray painting inexpensive frames all the same color lends a cohesive look to your arrangement and ensures that you don’t spend a lot. Interior decorators know that the scale and proportion of furniture and accessories should adapt to the size of the room. So finding pieces that fit the size of the room that you are decorating will really help. Similarly, when grouping objects together, odd numbers make for more visually appealing arrangements, so be sure to vary your groupings. 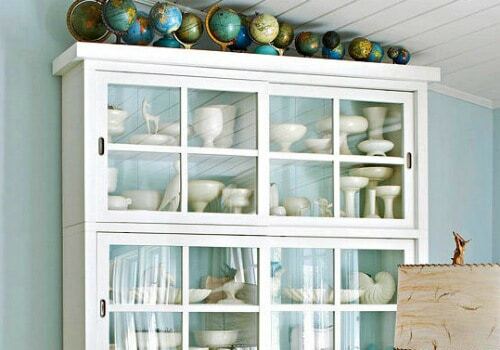 Starting a map collection is a great way to decorate a room – they can serve as art, or blown up, they can act as wallpaper. 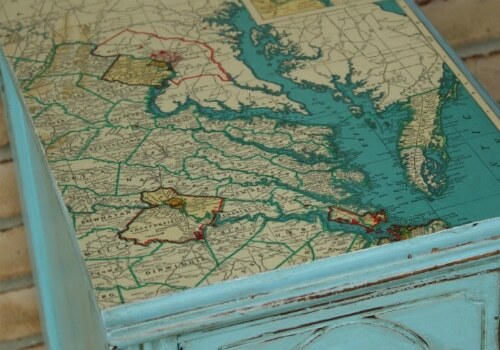 Maps can also instantly personalize a room if the map reflects the region or some place near and dear to the owner. Old maps also add a bit of history to a room and can be found in a wide range of prices online. Have some pretty, unused plates that are just gathering dust? 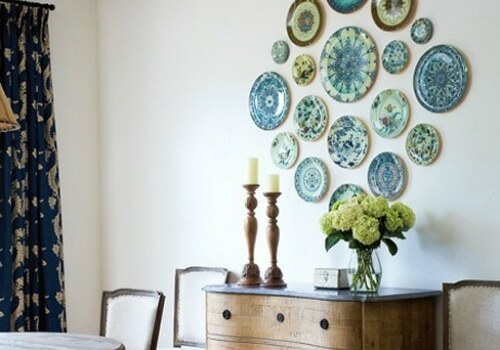 Why not put those plates to good use in a wall arrangement? With wire plate hangers, plates can easily be arranged on a wall. Try incorporating a variety of sizes, textures, and similar hues for an eye-catching wall plate arrangement. Curb appeal is just as important as an interior appeal. 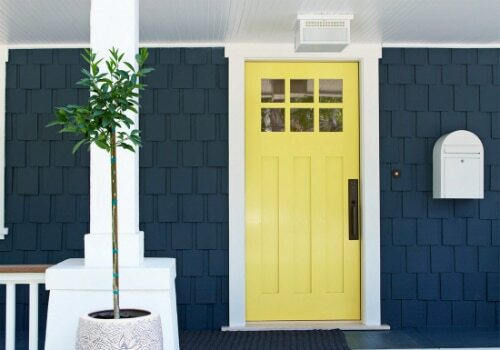 So why not spruce up the outside of your space by painting the front door a fun, vibrant color? Reds, oranges, and yellows are all bright, cheerful colors for a front door, while blues and pastels also make a great first impression. 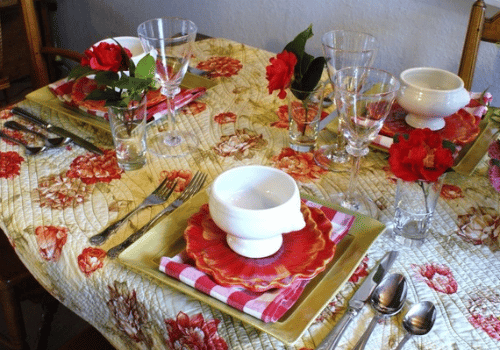 For a fun alternative to stuffy, matched dining sets, mix up your place settings. As long as your place settings share similar hues and sizes, your tablescape will look curated, rather than a hodgepodge of pieces. Plus, mismatched place settings can usually be done on the cheap. So look online and in thrift shops for inexpensive, quality individual pieces. A house isn’t a home until it has been decorated in a way that best fits your personality. So while all of the decorating tips on this list are great, only some are going to fit your style, and that is okay. Choose the ones that best fit what works for you and your house, and you will find that your house flows perfectly the way you want it to. Also, the majority of these decorating tips are very price friendly. That means that the next time you are watching a reality TV show on HGTV and get motivated to decorate, it won’t end up costing you a fortune. 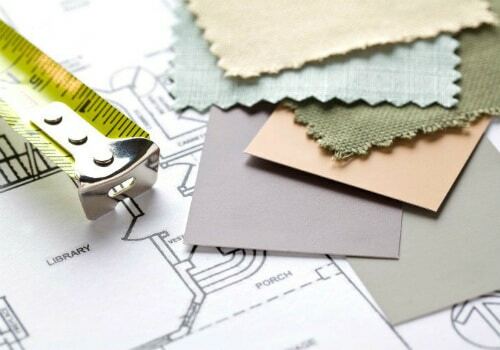 So congratulations, you just got hired as your own interior designer! Did you try one of these decorating tips in your home? If you did, we would love to hear how it turned out in the comments below.